The show called Neu co yeu toi (If you love me) will present to cai luong devotees excerpts from popular cai luong plays, including Duyen Kiep ( Predestined Love), Nua doi huong phan (Woman Life) and Me thoi dai (Mother). They are famous plays in the 1970s and 80s that brought fame to Nga. The performance will also feature comedian Hoai Linh, pop star Dam Vinh Hung, cai luong actors Kim Tu Long and Huu Quoc, cai luong actresses My Hang and Ho Ngoc Trinh, comedians Kieu Mai Ly and Huu Nghia and others. A portion of the proceeds from selling tickets will be donated to support poor veteran artists. Born to a poor family in Saigon (now HCM City), Hong Nga has spent over 60 years in an acting career. 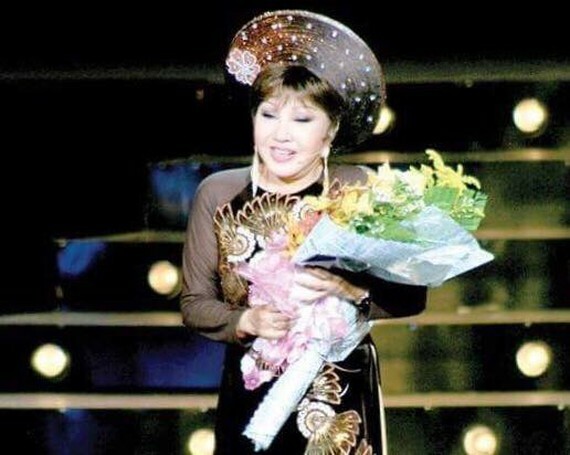 She belonged to a golden generation of artists of the traditional form of opera in South Vietnam.